Pumped-storage hydroelectricity is growing at a significant pace across the globe, thanks to the world’s rising appetite for electricity and the vast surge in renewables. To help accommodate the rising supply of wind energy, for instance, utilities in Spain, where the production of wind energy has increased from about 6% of the country’s total energy production in 2004 to more than 20% presently, utilities have turned to pumped-storage facilities. Pumped-storage hydroelectricity is playing a key role in the field of energy storage today and a massive portion of world’s installed storage capacity is pumped hydro. As the world embraces wind and solar power, pumped-storage hydroelectricity will witness a huge surge in the next few years. Power generators and utilities are building new pumped-storage hydroelectricity facilities across Europe and Asia Pacific countries as a way of striking a balance between power supply and demand across grid networks. Presently, over 290 pumped-storage hydroelectricity plants are operational globally, with a capacity totaling nearly 150 GW. According to the U.S. Department of Energy’s (DOE) Global Energy Storage Database, more than 45 projects with total capacities of more than 30 GW are under development across the globe. Countries across the globe have ambitious plans to increase the share of renewables in their energy mixes and several government regulations and incentives are encouraging developments in the fields of renewables such as solar and wind power. To accommodate the potential hyper growth of renewables in the near future, the storage capacity of pumped-storage hydroelectricity market will also significantly rise. Pumped-storage hydroelectric (PSH) refers to a system of hydroelectric energy storage, which is utilized by the power industry for peak saving and load balancing. In this system, water is transferred from a lower elevation to a reservoir at higher elevation, and stored. Low cost off-peak electric power is used for this transfer, whereas during the peak demand, the stored water is utilized to run turbines and generate energy. As the cost of electric energy fluctuates, these pumped-storage hydroelectricity systems generated electricity is sold at premium prices and thereby balancing the load on conventional energy sources. Pumped storage hydropower plants can be exploited better when used alongside wind energy turbines. The wind turbines pump water back into the reservoir during lean demand times thus resulting in better utilization of excess generation. Pumped storage hydro is capable of supplying a large number of ancillary services ranging from load balancing to voltage control. These plants can also serve as ideal spinning reserves and are useful for black start services to utility grids. Overall, these plants are an integral part of any robust energy generation mix and satisfy the requirement of ample backup power in times of grid failures or other supply related emergencies. With the ever escalating demand for electric energy, the global pumped-storage hydroelectricity market is projected for a healthy growth rate during the forecast period of 2017 to 2025. 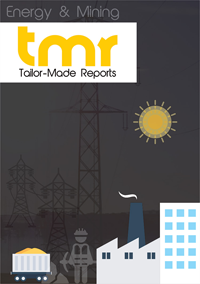 This report is a comprehensive analysis of the market for the same in current scenario, and based on several prominent factors that are expected to influence the growth rate, it presents figurative opportunities available. The report also profiles some of the key companies currently operational in the global pumped-storage hydroelectricity market, including their market share and strategic developments. By technology, the market can be segmented into single reversible pump turbine and separate pump and turbine generators. The end use application of pumped storage hydroelectricity can be segmented on the basis of the service they provide. Some of the services provided by pumped storage hydro are energy balancing, stability, storage capacity and ancillary grid services. The increasing demand for energy storage systems and the emergence of ancillary services are two of the primary driving factors of the pumped-storage hydroelectricity market. In the recent times, increased importance has been given to stable form of energy, and technological advancements has made pumped-storage hydroelectricity serve the demand efficiently. Other factors favoring the global pumped-storage hydroelectricity market include the need for alternative energy sources with black start capabilities, reactive power generation, and the assurance to operate as a spinning reserve. Conversely, the availability of large bodies of water along with a height variation between the two reservoirs are noted by the report as two primary restraining factors over the market. However, this barrier can be overcome via man-made alterations to the topography, which also helps in desired size and height measurements. Europe currently serves the maximum demand, especially from the country-wide markets of the U.K., Switzerland, Austria, and Italy. Asia Pacific market is driven by Japan while the U.S. contributes nearly 95% of the demand from the North American region. Alstom, First Hydro, Exelon, Voith and J-Power are some of the key players in pumped-storage hydroelectricity market.